In the last couple of weeks, many women in the U.K. have been posting "no-makeup selfies." It's raised a boatload of money for charity, but is it anything more than slacktivism? Oh, and thousands of people accidentally donated to the wrong charity/asked about adopting a polar bear. According to the Guardian, the practice got started when writer Laura Lippman tweeted a bare photo of herself, meant as a gesture of support for Kim Novak after her much-ridiculed Oscars appearance. It had been cooking for a while when Cancer Research UK savvily glommed onto the trend, asking anyone posting a photo to text a donation, and suddenly the meme was about "breast cancer awareness," like when people used to admit the color of the bra on Facebook. But it got real results: Within six days, the craze had generated £8 million for the charity. Not that the fund-raising was without mishaps. 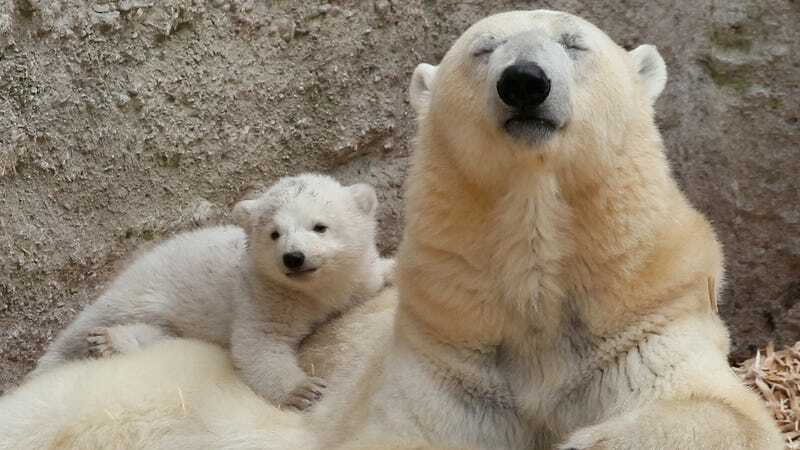 The BBC reports that, thanks to people using the wrong SMS code while attempting to donate, thousands of pounds accidentally went to Unicef, and due to autocorrect (BEAT to BEAR), a few people ended up asking the World Wildlife Fund about adopting a polar bear. Polar bears need all the help they can get, but WWF doesn't really match the meme, here. In my eyes, the NMS was supposed to be a move of solidarity for the people going through cancer. Baring yourself, exposing yourself, making you feel vulnerable, to try to understand a mere taste of the fragility that someone with cancer experiences when they look in the mirror. The photos I saw did not show that. They were still mysteriously camera ready and lacked the level of realness that the cause demanded. I commented that I would have more respect if you took one, first thing in the morning, under fluorescent hospital lights, after a colonoscopy, as it was a little more relevant. It's nice that Cancer Research UK managed to harness a viral phenomenon to raise so much money. You've got to figure the ROI is a hell of a lot better than throwing one of those walk-a-thons. Unfortunately, this probably isn't sustainable as either a fundraising or awareness-building strategy. However, I look forward to the polar bear selfie ad campaign.